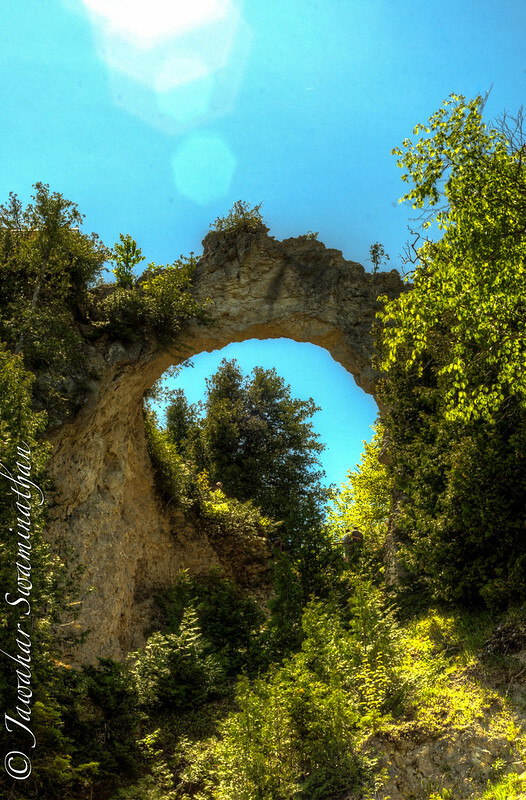 There is this spectacular limestone arch on Mackinac Island in Michigan. I had a leisurely stroll around the island yesterday after hiring a bicycle. The 8 mile circumnavigation of the island offers lovely views of Lake Michigan (more photos from that later). For now, here’s a picture of Arch Rock. Arch Rock, Mackinac Island, MI. Click on the photo for more options on Flickr!